YHA England and Wales is dedicated to all things cycling, with state of the art facilities available at many of our hostels! 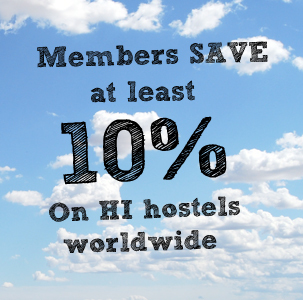 We’ve got hostels available for cyclists that don’t just want to go downhill. You’ll find somewhere to wash the mud off your bike (and yourself) and somewhere safe to store it, as well as some of the best cycling routes and mountain bike trails in England and Wales. At YHA we want to make sure that both you and your bike are well looked after which is why we’re dedicated to providing great facilities at some of our Youth Hostels which are best located for cycling. We’re dedicated to improving our existing cycling facilities as well as adding new ones where they’re needed and we’ll soon have world class cycling facilities at some of our north east, Yorkshire, Lake District, Midlands, Wales, south east and south west Youth Hostels. Our world-class facilities include cycle repair and maintenance stations where you can fix your chain or pump up your tyres; secure lockers where you can lock your bike safely away for the night and secure cycle sheds. We’ve been getting our existing facilities up to a higher standard, improving the security around our lockers and bike sheds to make sure you can get a good night’s sleep and keep your peace of mind knowing that your bike is safe, and making sure all our facilities are fit for purpose. Cycling is so much more than a fast and eco-friendly way of getting from A to B – in fact, to many it’s a way of life. Whether you’re committed to life on two wheels, or just like to get out and about with the wind in your hair on a weekend, Britain has a fantastic network of cycle paths running through town, country, coastline and forest, and there are few better ways to enjoy a beautiful view than from the saddle of a bike. If you’ve never tried a cycling holiday before, you might just find a brand new way to relax! YHA invites you to try some of our great cycling holiday locations. Our network of cycling hostels is growing, with more and more hostels meeting our high cycling standards, ensuring both you and your bike have a relaxing evening after an adventurous day. We hav e hostels near some of the best cycling locations in the country, but some of them offer much more than just a comfy place to stay. With secure bike storage facilities, basic repair kits, bike wash, drying rooms and a selection of spares available, these sites understand your needs as a cyclist. Our hostel staff can direct you to some of the best routes in the area or organise hire bikes for you during your stay. We’ll even prepare a delicious and nourishing meal full of carbs to keep you fuelled up after a busy day of cycling! For the Bradley Wiggins or Victoria Pendletons of this world, we have cycling hostels that offer some seriously challenging routes. We’re also pleased to welcome long-distance cyclists that are looking for just a one night stop-over. Don’t worry if you’re not a serious cyclist or you’re more interested in a family cycling break, we cater for every ability with some of the best cycle routes in the country starting from our hostel doors. Forgotten to pack your bike? Don’t worry, we’ve got you covered, as we can organise bike hire for you via our local partners – perfect if you don’t fancy bringing the roof rack. The staff in our hostels will also be happy to help you get on your bike by recommending cycle routes that are suitable no matter what level you are. Check out our suggested itinerary for 10 days in England. 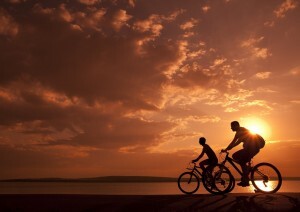 Biking activities are very useful to our health. I am a Secretary of Youth Hostels Association of India, Ahmedabad Bapunagar Unit from Gujarat. Our unit some more biking programs related Save Environment and Save Birds against Flying Kites on Uttarayan Festival of India. Hi Mukesh – it would be great to know more about these YHA India initiatives related to the environment, this is something we’d love to promote! Thanks for the comment. I’ll drop you an email.